The tanker Jahre Viking built between 1979 and 1981,at Sumimoto Corporation's Oppama shipyard in Japan, named Knock Nevis for a Greek owner who went bankrupt before the ship was finished. The unfinished ship was bought by a Hong Kong shiping magnate , floated two years later and named Happy Giant and Seawise Giant. 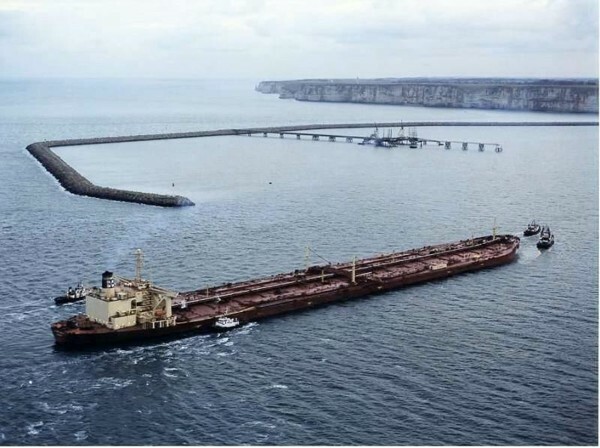 The tanker sunk by the Iraqi airforce in 1986 during the Iran-Iraq War, and reconstructed in Singapore and Dubai, United Arab Emirates costing some $60 million. It was relaunched under its new name and new Norvegian owner, Loki ASA, in November 1991. It is the largest ship in the world with 458 meters (1504 feet) in length and 69 m (226 ft) in width.